At A&P Fencing we stock a wide selection of fence and gate accessories. 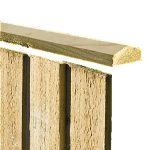 We stock a range of Fencemate post and panel support systems to ensure your timber fence posts and panels are securely supported. 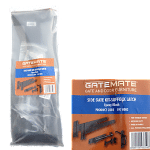 We also stock all the Gatemate accessories you will need for your gate, including our most popular latch pack which contains all of the necessary items for erecting your gate. We have a range of fence and gate accessories, all listed below. They are available for fast delivery from our West Midlands depots to popular locations including Birmingham, Sutton Coldfield, Great Barr, Tamworth, Lichfield and more. If you’re looking to buy the extra bits and pieces that you need to finish off your fencing, then we can supply you with the accessories that you need. 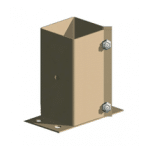 As well as laths, cappings and rails, we provide strong and durable fence supports and a range of gate accessories including locks, hinges and handles. All of our timber fencing products are manufactured to be the highest quality and our fencing accessories are no different, ensuring that your fences and gates are strong and reliable throughout.